Tokyo Game Show is an annual trade show for the games industry. Held at the Makuhari Messe convention center in Tokyo. The newest products, innovations and technologies get launched and exhibited at the event. 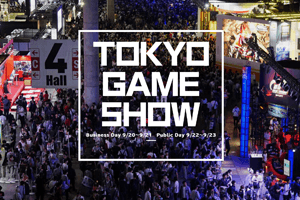 This year’s edition of Tokyo Game Show will take place from 12 to 15 September. For more information on Tokyo Game Show 2019, please visit the website. The Embassy of the Kingdom of the Netherlands in Tokyo is calling for Dutch (applied) game companies to participate in the Holland Pavilion at the Tokyo Game Show 2019. Find out more about registration for the Holland Pavilion here.